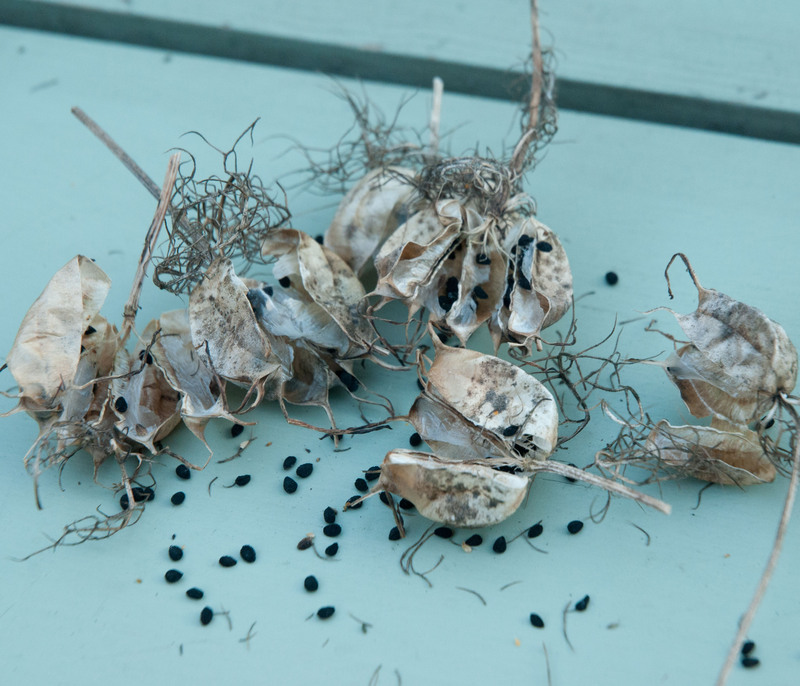 I’m determined this year to collect loads of seeds for next year. 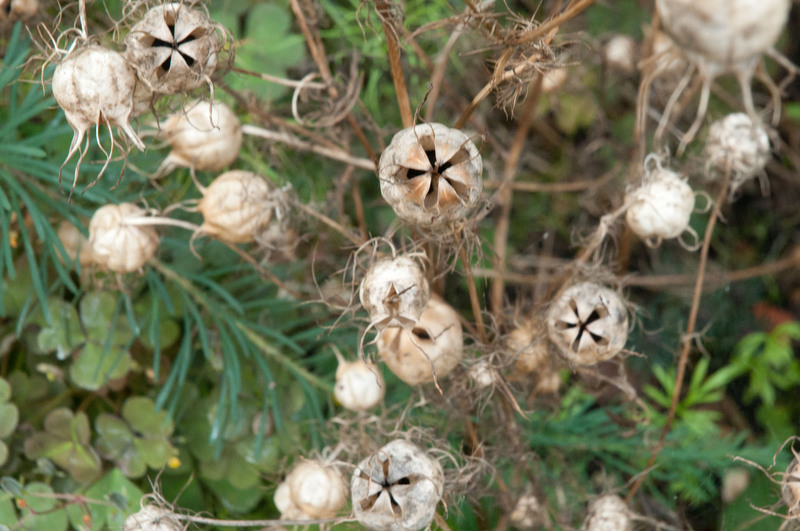 In my back garden, Nigella seeds are tantalizingly visible in their seed heads and ripe for collecting. In fact, everywhere, there seems to be a wealth of free seeds waiting to be gathered. 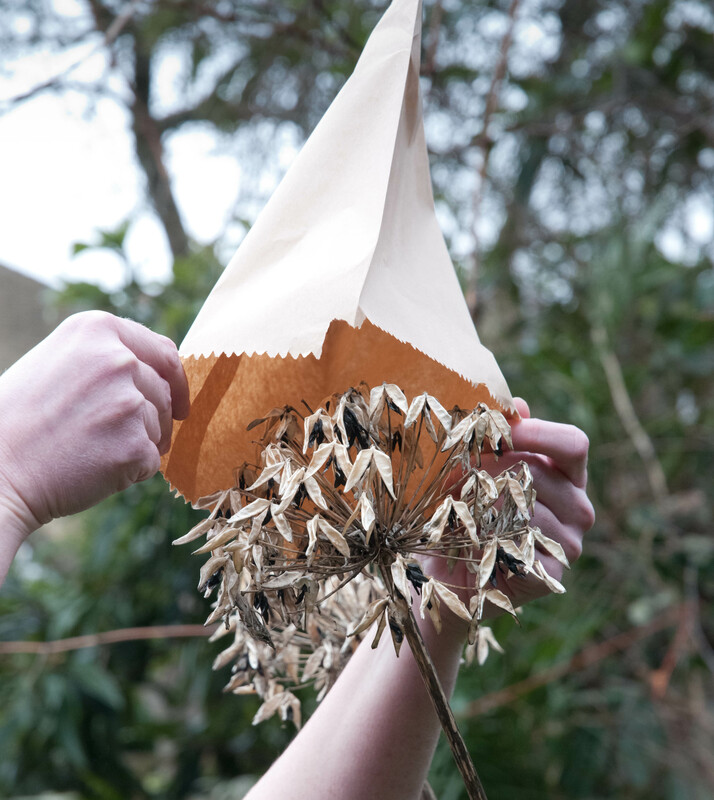 And with these warm dry days predicted, seed heads are crisp and dry-perfect for plucking right now. 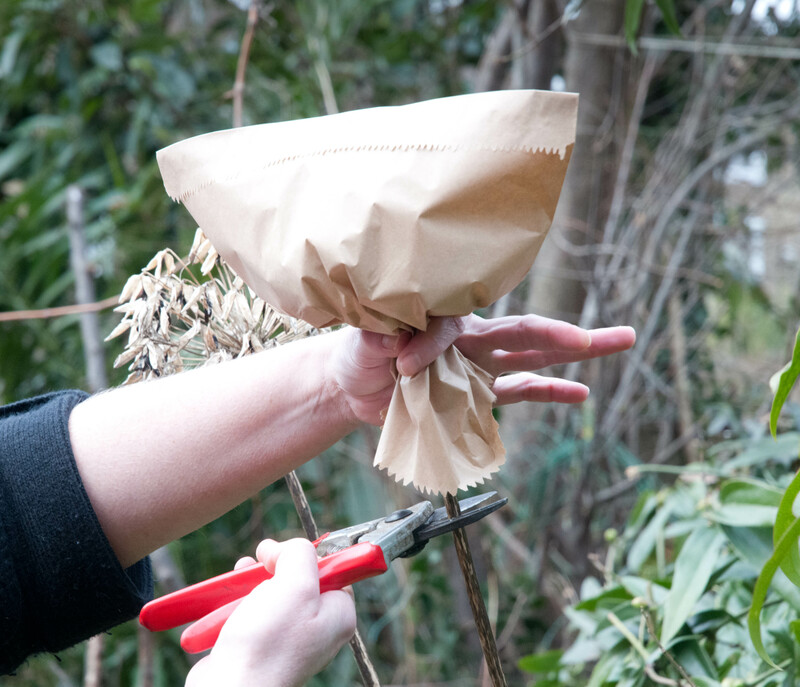 Hold on tight, then snip the stem off with a pair of secateurs. 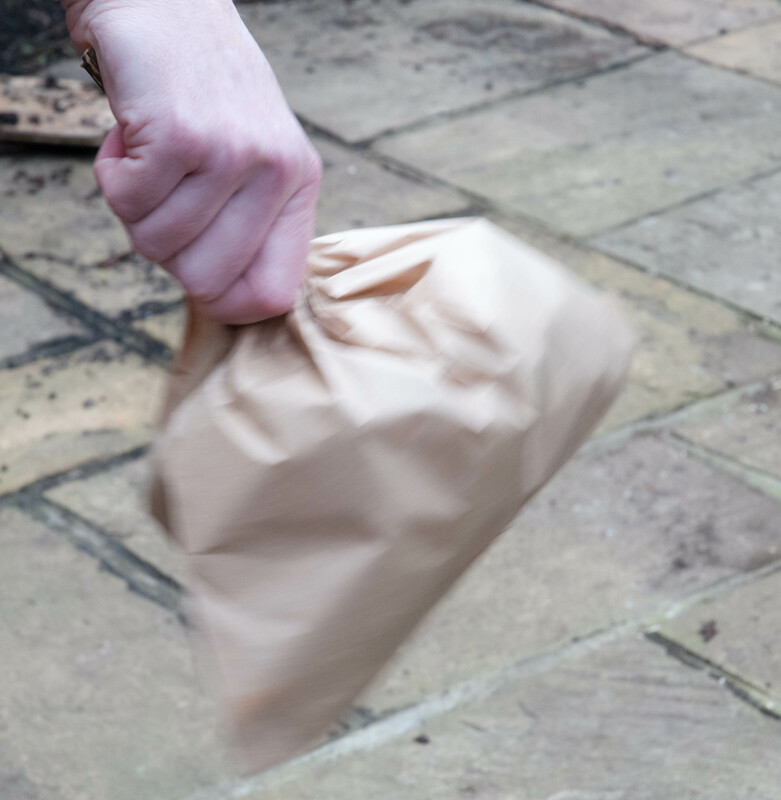 Then give the bag a good shake to loosen the seeds. 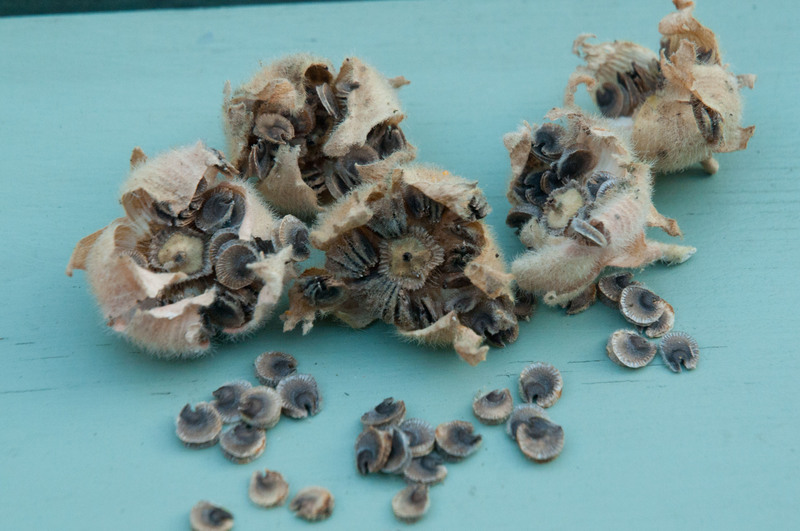 Back to the Nigellas, I find it fascinating to see how the seeds stored in a number of compartments within the seed heads and counted that there are about 50 seeds in each head. 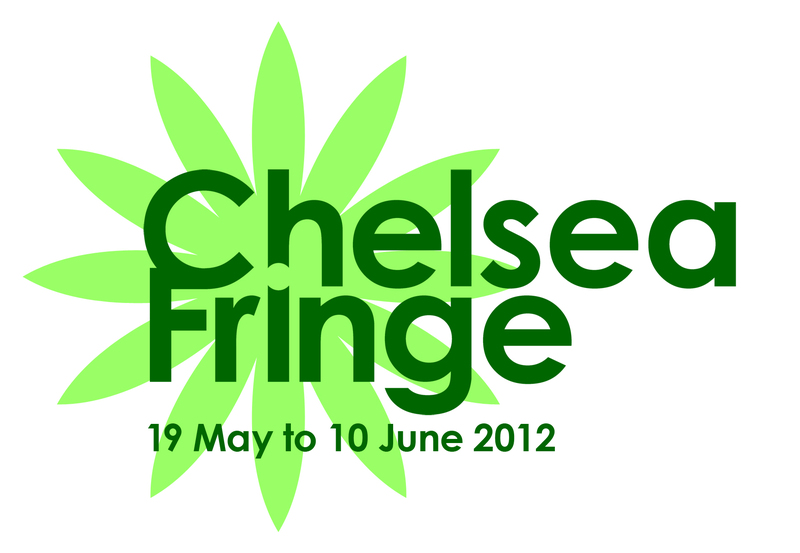 I won’t need all these seeds for myself, but these will be great to share with friends and neighbours. 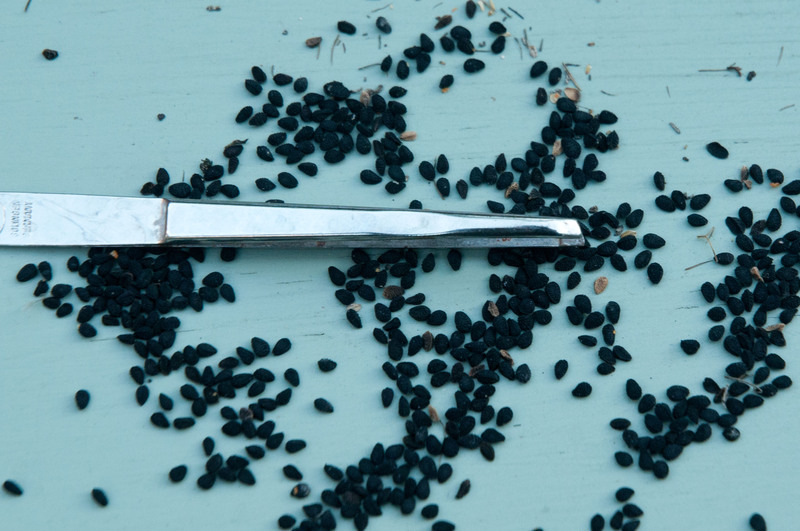 Before storing, remove all the dry casings-I sometimes use tweezers to pick out any small non-seed material. Seeds are best stored in a paper envelope to keep them dry and then I place envelopes in a sealed plastic container in the fridge so seeds don’t get too much heat or moisture (this will reduce the length of their viability). 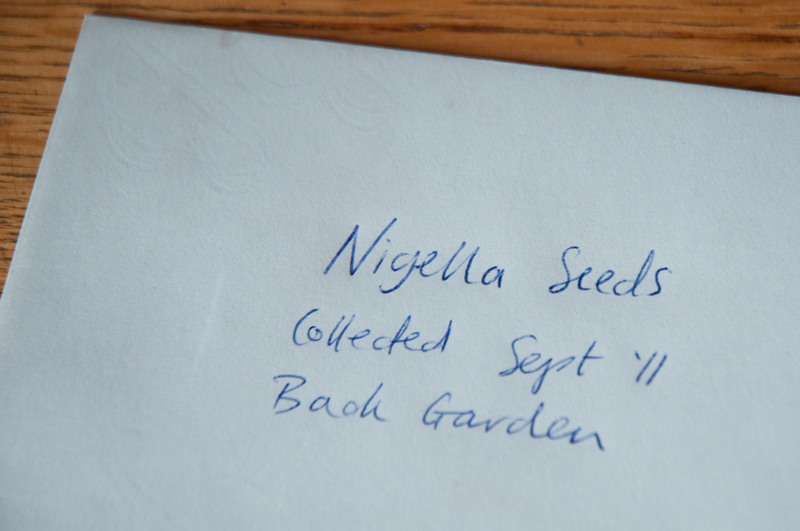 Don’t forget to write when and where seeds were collected too. 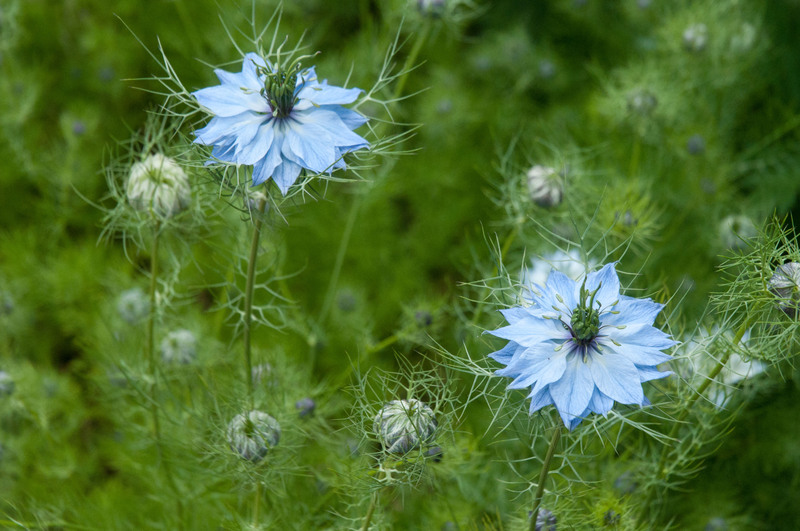 Nigella is an annual (grows and flowers in the same year, then dies after flowering), so plant seeds next spring for a gorgeous blue flowers in summer. Hollyhocks are biennial plants. Sow the seeds (above) next spring, they will produce lots of growth next year, but you’ll have to wait another year (until 2013) for the plant to flower. 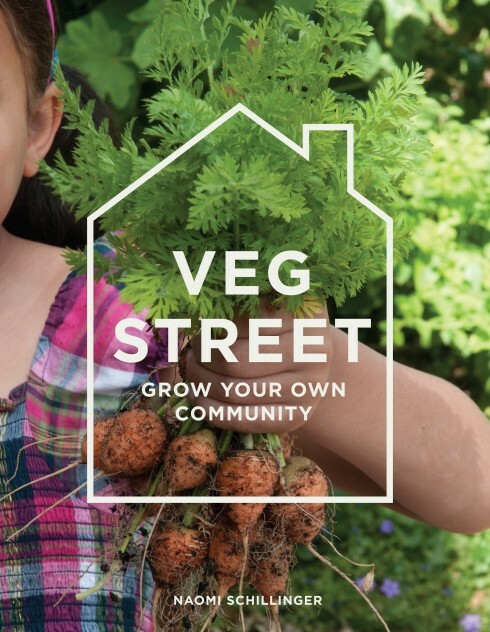 They can be a tad on the promiscuous side too, so seeds may not always come true to the colours of the parent plant, but if you’re happy to experiment, it’s exciting to see what flowers the seeds will produce. 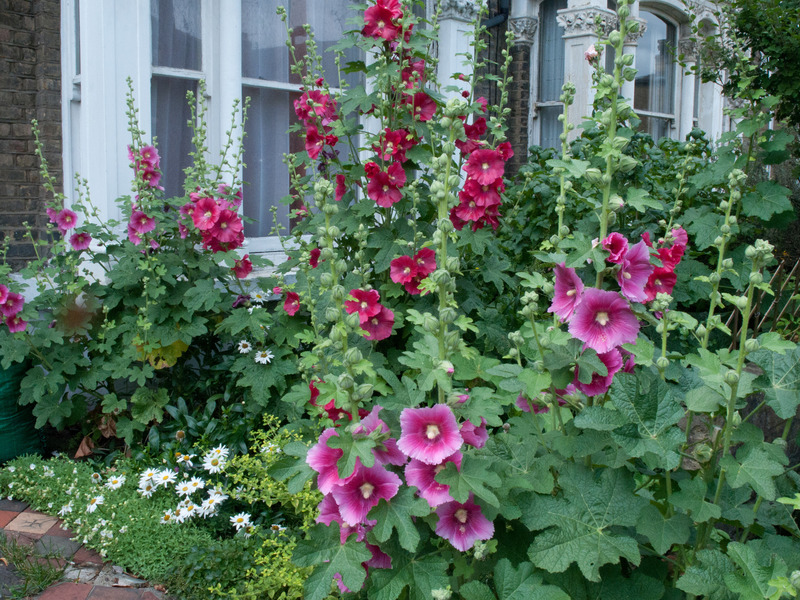 Most biennials will die after flowering in the second year, but often Hollyhocks will continue growing, and flowering, for a few more years to come before dying off, behaving more like a short-lived perennial.